Steam achievements were added in 2016. Various custom campaigns and mods are available. Will not run on various Intel and AMD integrated cards. Open main_settings.cfg with a text editor. Go into <user-id> and open user_settings.cfg with a text editor. May result in FPS drops and crashes on some systems. 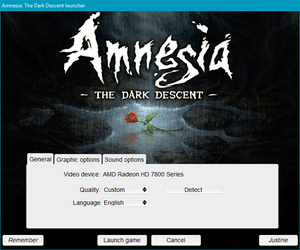 Set to Windowed, and use a third-party tool like Borderless Gaming. Faked FSAA, labeled as Edge Smooth or Smoothing. Not present in launcher. Can be enabled in-game. Capped at 60 FPS by default; see High frame rate. Go to config in the installation folder. Locate line FOV = "70" in section Player_General and change its value to your desired field of view value. Click Change high DPI settings, check Use this Setting and Override High DPI Scaling. Apply and launch via Steam. The game limits frame rate to 60 FPS by default. Locate entry Engine LimitFPS="true" and set it to false. 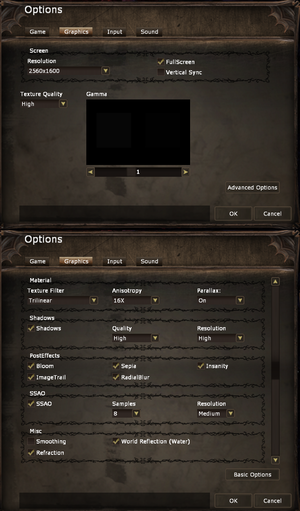 Mouse smoothing can be toggled. 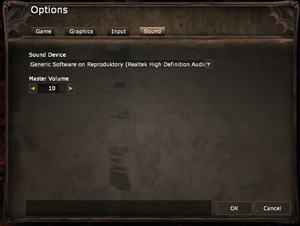 DirectSound3D output by default. See below if running Vista or later. Up to 7.0. Additional toggle button for effects. Download OpenAL Soft (PCGamingWiki mirror). Extract archive, navigate to Win32 folder from this archive. Locate file soft_oal.dll and copy it to <path-to-game>. Launch game launcher and navigate to the Sound options tab. There should be new Unsupported device. Select it and launch the game. Launch game with soft_oal.dll file in the same folder as game's exe file. Locate section Initializing Sound Module. There are all available sound devices. 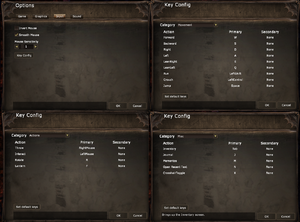 Open main_settings.cfg from the same Main folder. Locate line <Sound Device= and change to corresponding value of sound device from launcher.log. This will download missing files, it may take a while, depending on how many files are missing. If the in-game gamma setting is increased, it can sometimes alter the desktop's gamma even after the game is closed. Run it and the desktop gamma should return to normal. 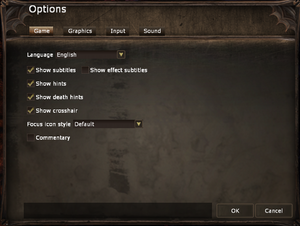 Go to the in-game Options >> Graphics >> Advanced Options. Go to the graphics software. Tell it to use the high performance card. 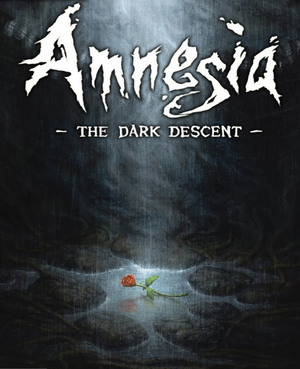 Download the updated DLL file from here and copy and replace in the game's folder. Optionally, use a borderless windowed software. Drivers should be from Nvidia/ATI to ensure proper functionality. Graphics cards that do not support OpenGL 3.0 will not be able to run the game at all. Laptops that contain integrated graphics cards generally do not support OpenGL 3.0. ↑ Why is the engine frame-rate limited? This page was last edited on 29 March 2019, at 02:28.